Going into the studio for the first time? We talked to Angela Longo of The Vocal Company about what you need to know before recording your a cappella group. You can check out the full interview here – we’ve compiled some of the highlights to guide your group into their first recording sessions. What should a cappella groups know when going into the studio for the first time? The most important thing to know is that singing in the studio is not like a live performance. With few exceptions, groups will record a few singers at a time, usually focusing on a single part. Instead of singing through the whole song, most a cappella engineers prefer to record four to eight bars at a time, recording multiple takes for layering and to get the most energy and emotion out of each singer. 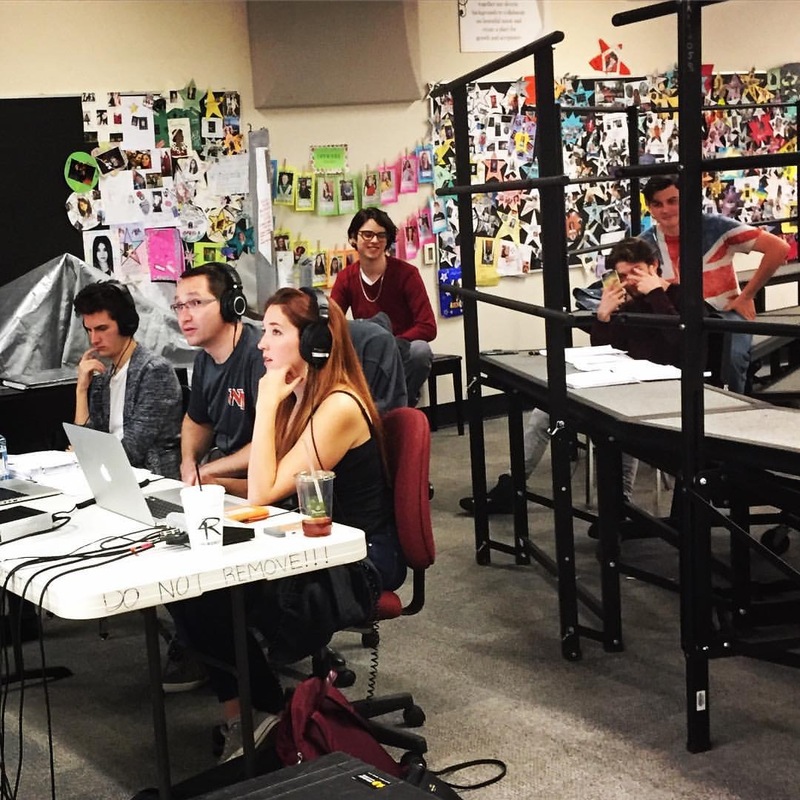 How can directors prepare their groups for singing in the studio? Map out your arrangements, measure by measure and section by section, and make sure you know which singers are singing which measures. You don’t have to sing repeated measures every time they occur. You can copy-paste them in the recording, unless there’s a dynamic or phrasing difference. So be aware of long repeated sections that could be handled in a fraction of the time by only recording a few measures. Recognize your singers’ strengths. Maybe two of your altos are great at singing syncopated rhythms, while the other two have a strong tone for held-out “oo’s” and “oh’s”. Assign those parts accordingly in the studio – if you have more than two or three singers on a part, you won’t need every singer to cover that part the whole way through the song. Make sure your students are aware of these preparations beforehand. When you’re arranging for their success, it helps them be less hard on themselves in the studio and be mentally prepared for several hours of recording. What are the most common mistakes that groups make in the recording process? The most obvious mistake is not being prepared. Groups come in without knowing their music or without knowing anything about how the session is going to work. They may end up sight singing in the studio, which automatically reduces the emotional connection in their voices. That’s an easy and expensive way to lose impact with your listeners. The biggest mistake that groups tend to make is treating the studio version of the song just like a live version. The studio setup and recording process gives you flexibility to add more layers and complexity to your arrangement. That includes multiple vocal percussion parts, harmonies on the lead vocal, fuller chords in the background parts, and more. If someone listens to your finished recording on Spotify, they don’t get the benefit of seeing choreography, interactions between singers/audience members, or other aspects of the audience experience. So you can “trick” the listener into feeling like they’re experiencing this live by layering more parts. An important note on layering – sometimes groups think that by singing their parts louder, they won’t need layers. Because of the use of compression in the recording process, the excess volume is squashed to create a cohesive sound in the final product. Being louder doesn’t accomplish anything – however, singing with emotion and layering more parts will have the effect you want! How should arrangements be adjusted when taking them into the studio? Treat your a cappella group as a live band, and think about the different “sections” represented in the original recording. Drums, percussion, bass, guitars, keyboards, synths, horns, strings, etc. – cover all of the important elements of the original song. Then, you have the freedom to add new parts or replace some parts to make your group’s arrangement truly unique. The human ear can only focus on three “units” at a time – for example, percussion, lead vocal, and bassline – but other little things layered into the recording helps the song feel fuller, and therefore gives the listener the feeling you’re trying to achieve. What else should groups know about recording? Don’t be afraid! If you don’t know where to start, start small with a single or an EP. Do some research to find the right producer for your style. Manage your expectations. If you want your group to sound like Pentatonix, but you have 15 singers, that won’t happen. But you can still create an incredible and unique sound. Establish your goal. Is this a yearbook album to show the music you performed this year? A concept album focused on a particular style or genre? An EP of original music? Whatever your goal is, make sure the whole group is on the same page so that everyone is working towards the same result. Put in the planning and the work to make it possible. Invest in success. Look for opportunities to improve your skills. One such opportunity is Next Level – a series of intensive 5-day sessions designed to elevate your skills to, well, the next level. They cover a range of topics from arranging to vocal technique to directing to producing a cappella. Additionally, the AEA offers a recording guide, personalized advice from experts, free arrangements, and more as part of our membership program. Events like the National A Cappella Convention give you and your group the opportunity to meet, learn from, and perform for industry professionals. This article is based on an interview with Angela Longo. She is a Senior A Cappella Producer at The Vocal Company, a member of the female vocal band Musae, and one of several a cappella personalities we interviewed in our Summer Series! Stay tuned for more articles on what YOU need to know about a cappella education, every Tuesday for the next few months.